Challenge: "a call to engage in a skill testing, strength building task, to test endurance and work ethic". Accomplishment: "an instance of achieving fulfillment in academic, spiritual or recreational fields, through hard work and a drive to attain personal goals". Welcome to Global Perspectives, a five-credit integrated program that challenges youth to see the world in a new way and think outside of the box. World events impact everyone as we are a part of a global community, and this program gives students insight into the world around us. Global Perspectives is taught at Innisdale Secondary School, in Barrie, Ontario. The program aims to open the eyes of students, to look beyond the bubble of our comfort and reach out into the unknown world. Beware: the program is not for the faint of heart. Challenge is the name of the game, but the journey is incredibly rewarding. The Global Perspectives program was created by Mr. Dave Morrison. The primary stages of the program, excluding travelling, were developed in 1998 and 1999, in order to smooth out the curriculum and academic goals of the program. It was during these trial periods that Mr. Morrison discovered that the truly beneficial way to provide an all-encompassing education for students, especially in the humanities, is to teach the subjects in correlation with one another.​ Thus, Global was built on the principles of integration among subjects. Global prides itself on a continually evolving way of teaching, learning, and discovering, where students are able to uncover aspects of the world and themselves with the guidance of four incredibly passionate teachers. By 2000, Global was in full swing, and the travelling aspects were all part of the adventure. Right from the beginning, Global Perspectives defines itself as a program that is out of the ordinary. Five credits jam packed into three and a half months of classroom activity, paired with one and a half months of education abroad, is a recipe for an incredible journey. The five credits earned by students include four grade eleven university credits (Visual Art, English, World Religions, and Politics in Action), and one grade twelve university credit (World Issues). However, the secondary school credits achieved are merely the doorway to the adventure. The twenty-eight students selected for the opportunity of a lifetime are chosen based on a combination of factors such as interest in global affairs, academic strengths, involvement within the community, positive personality traits, and a desire to learn, among many other attributes. Students spend five months together, and through unique travel experiences and assignments, build an interconnected support system and form an all-inclusive family. The classroom becomes a home away from home as students dive into the world of abstract thinking and problem solving. Once accepted as a Global student, your journey begins before the program even starts. Global Perspectives officially commences in the second semester of the grade eleven school year, but in the fall of that school year, students share their home with their German exchange partner for one month. Good-byes are difficult at the end of the month, but Canadian and German students are reunited in June on the major, all culminating trip to Germany. The official first two months of Global involve heavy loads of demanding, but extraordinarily rewarding course work. Major assignments include: Global Issue ISU Report (extensive research based paper into a student chosen world issue), Colony to Nationhood (groups of four transform the entire classroom into another country for a colonial history report), Self- Actualization Box (a three-dimensional representation of each student’s personal reflections of themselves and who they have become through Global), and the Shaman (a conceptual representation combing the Global Issue ISU topics of two students through the creative construction of a life size statue). Great rewards are reaped from completing these demanding tasks. 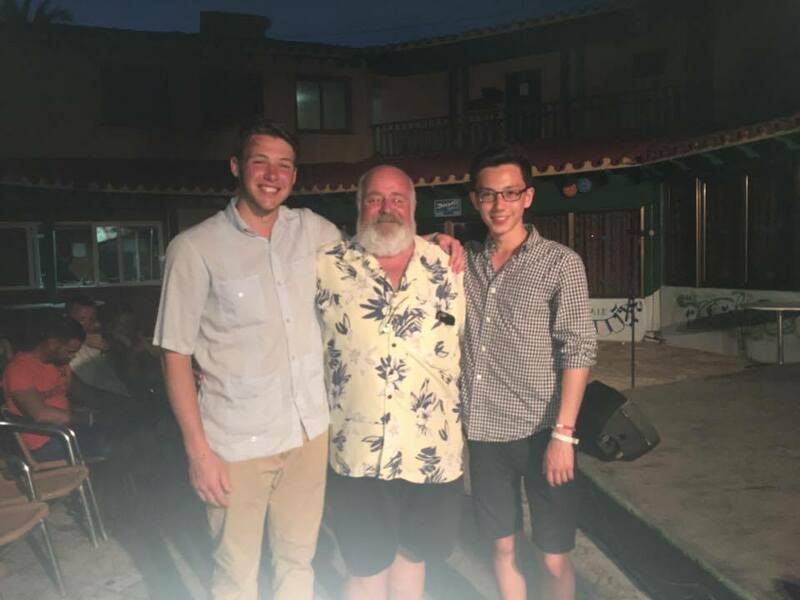 After the two and a half months of hard work, students travel to Varadero, Cuba for a two-week cultural experience. The adventure to Cuba is a unique and eye opening opportunity to gain first-hand perspectives on the differences and similarities of life between the people of Cuba and the personal life of the student. Following Cuba, students engage in a month of vigorous work in the classroom, and then the final month of the semester is spent on a student exchange in Europe. To gain a perspective of the daily life of a teen in another country, students live in Germany with their exchange partner. This immersive expedition includes travel to interesting sites by day, and participating in the daily life of a German resident by night. These incredibly rich opportunities allow students to be travellers rather than tourists, and many breath-taking experiences are encountered. ​From developing excellent work habits, life-long friendships, and experiencing eye opening global revelations, Global will change your life forever. However, it is essential to remember that what you put in is what you get out, and with devoted teachers backing your journey, the world truly becomes your oyster if you dare to be ambitious. Global Perspectives is an experience that will forever change students' lives: once a Global student, always a Global student. The class of 2017 is extraordinarily proud and thankful for the journey we have completed together. Life is not measured in the number of breaths we take, but instead by the moments that take our breath away.